With a rich heritage this small coastal Florida city is a popular destination for history seeking vacationers. Pensacola is home to many historic sites and landmarks in addition to museums, events, festivals, boutique shops, and art galleries. Seville Square and historic Pensacola have undergone some recent developments including the addition of a bay front baseball stadium. This has led to a rejuvenation of the city resulting in the addition to many great restaurants, cafes, and nightlife spots throughout the area. Browse our selection of Cheap Pensacola Hotels and plan your trip using our area guide. Be sure to reserve online to lock in at the best rates. Homewood SuitesThe top-rated cheap hotel in Pensacola starts at only $100 a night. 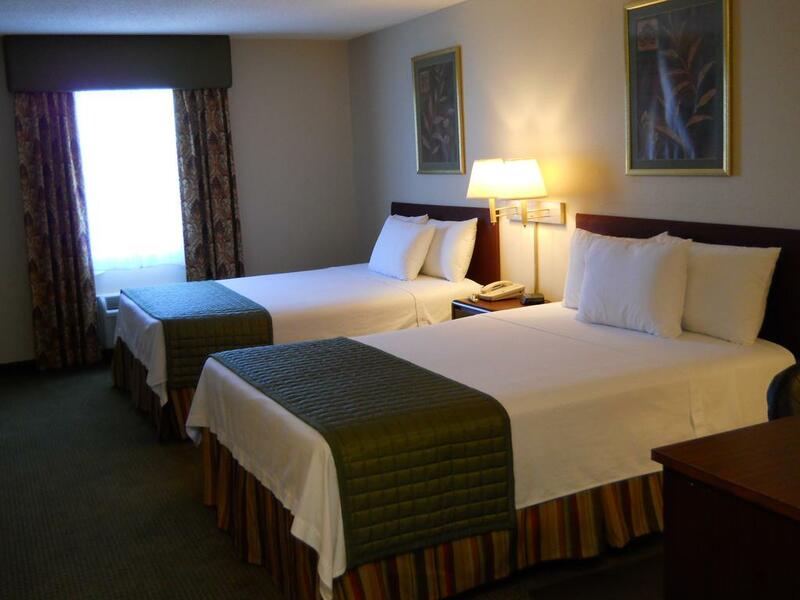 Located near the Pensacola Airport and the Cordova Mall this hotel is a popular option for both vacationers and business travelers. Enjoy all suites accommodations. Best Western Blue AngelLocated off Interstate 10 in Pensacola the Best Western Plus Blue Angel Inn is located minutes from the Naval Air station and up the road from Pensacola Beach. 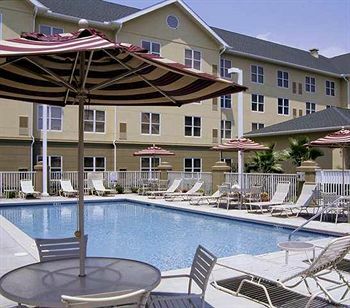 Enjoy the outdoor pool, hot daily breakfast, and high-speed internet. Hyatt Place PensacolaStylish and modern this affordable Pensacola hotel is border-line luxurious. 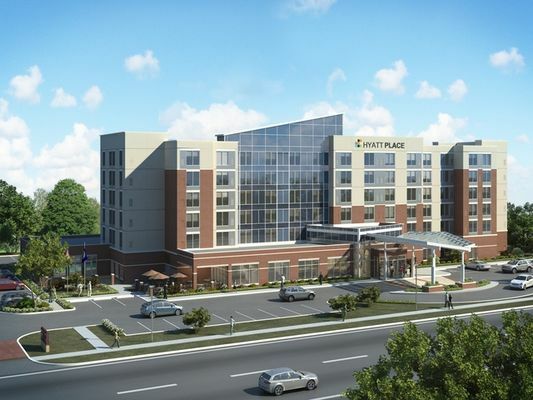 THe Hyatt Place Pensacola Airport offers 127 newly furnished hotel rooms with flat screen TVs, granite countertops, and other high-class fits and finishings. 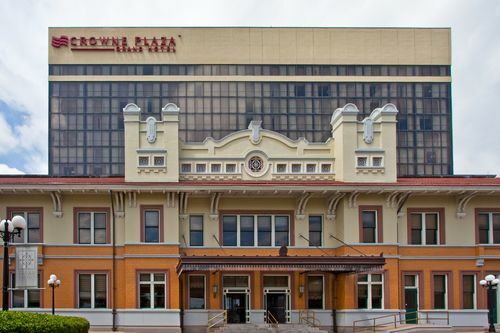 Crowne Plaza PensacolaA historic hotel in Downtown Pensacola, the Crowne Plaza Grand features classic touches and modern amenities. Located steps from the Ice Flyers Stadium and minutes from Seville and downtown Pensacola, this is the hotel to be seen at. 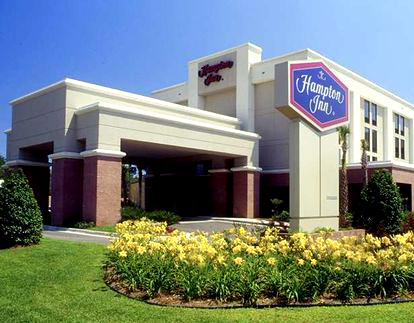 Hampton Inn PensacolaWith a free airport shuttle and convenient access to Pensacola the Hampton Inn Cordova Mall is a cheap hotel that is ideal for business travelers. Visitors rave about the awesome breakfast and comfortable beds. Reserve online now! 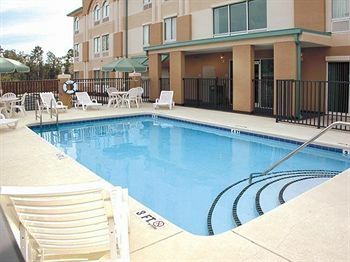 Ashton Inn & SuitesA cheap Pensacola Hotel near the Naval Air station, Ashton Inn & Suites is ultra affordable and is the most visited hotel for the visitor looking for the cheapest hotel near the base. Reserve now and enjoy low rates and a comfortable stay. 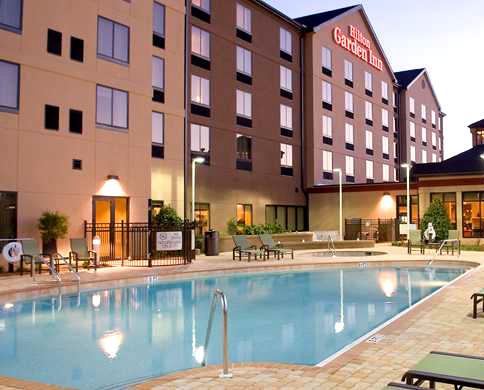 Hilton Garden InnQuiet, clean, and a friendly professional staff- The Hilton Garden Inn Pensacola is one of the top selected locations for accommodations near the Pensacola International Airport. This cheap hotel is ideal for both work and play.